PMI-ACP® certification is a flagship Agile certification from the Project Management Institute (PMI). The PMI-ACP® recognizes knowledge of agile principles, practices and tools and techniques across agile methodologies.Our PMI-ACP® study facilitation workshop is devised in line with the revised PMI-ACP® course content effective July 2015. The course content has been prepared after extensive study of the PMI-ACP® reference books as prescribed by the PMI®. Our course covers all the seven domains as per the revised PMI-ACP® course outline. - Fun-filled approach to learning: Interactive, game-based workshops. Everybody has fun. Not only do we cover the basics of Agile practices, this workshop emphasizes on the proper mind-set and support of the Agile process that is necessary to mature an organization into a truly Agile environment. The workshop is designed to have trainees encounter many difficult choices while focusing on values and principles that support long-term Agile success. - Reduce your preparation time for PMI-ACP® certification examination to about one-third. - Get personalized from experts in your PMI-ACP® journey starting from filling up of the PMI-ACP® application to implementing agile in your profession. 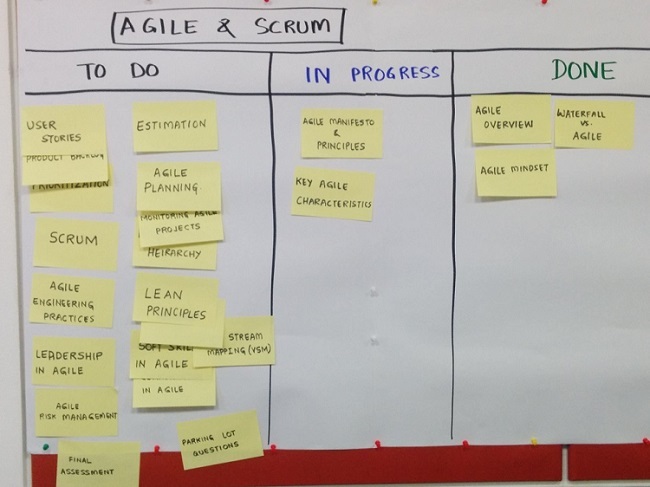 - Become part of the ever growing Agile practitioners’ community in your city. Vineet Patni is the leading Agile trainer in Pune. He has delivered more than Agile 15 certification workshops in 2015 in India and abroad. An avid learner and a passionate facilitator, Vineet has been assisting enterprises and individuals in becoming truly AGILE. His expertise in delivery transformation consulting has aided delivery teams in seamlessly creating and adapting to collaboration-based work environments grounded in Agile and Lean values and principles, and modern Project Management techniques and servant leadership. All his participants (who attempted PMI-ACP exam) are PMI-ACP certified (successfully cleared the exam). More than 98% of this participants in SAFe Agilist workshops have cleared the certification in the first attempt without any difficulties. He is available to answer all your queries on SAFe, PMI-ACP, and other Agile certifications; and Agile career opportunities (in Pune or other cities of India). Please call Vineet @ 9850994003 for more details, group or corporate discounts. Do check our upcoming certification courses here.